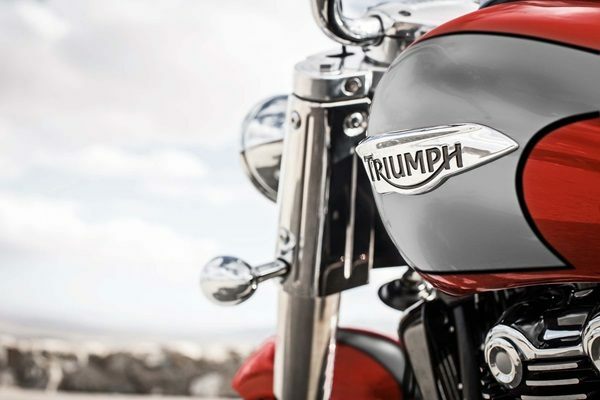 A strong, willing engine, refined chassis, powerful looks and broad riding position give our new Thunderbird Commander the power and presence to dominate any road. Based on our original Thunderbird, the Commander easily impresses riders and onlookers with its classic cruiser style, premium feel and the world’s largest capacity parallel-twin engine. 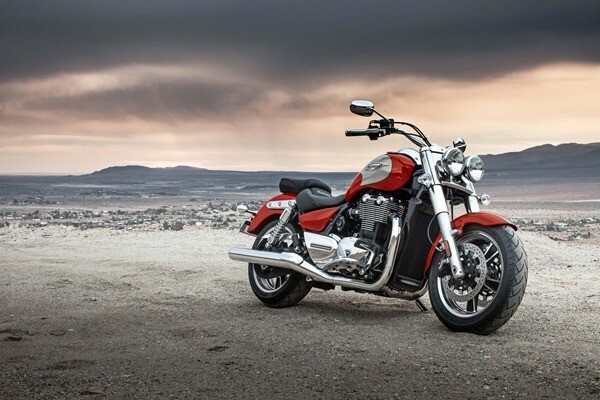 And being a Triumph, it’s a cruiser that also gives you day-long comfort, practicality, character and, on top of all that, superb handling. SUSPENSION: Stylish on the outside, modern on the inside. 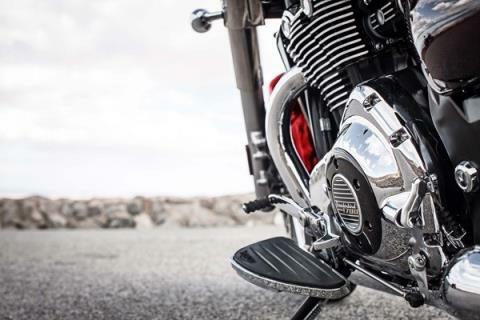 The Triumph Thunderbirds feature chunky 47mm Showa forks with 120mm of travel. set-up and carefully matched to a pair of five-way preload adjustable shocks at the rear, with 109mm (LT &amp; Commander) and 95mm (Thunderbird Storm) of travel giving the right dynamic for everything from spirited solo riding to two up touring. 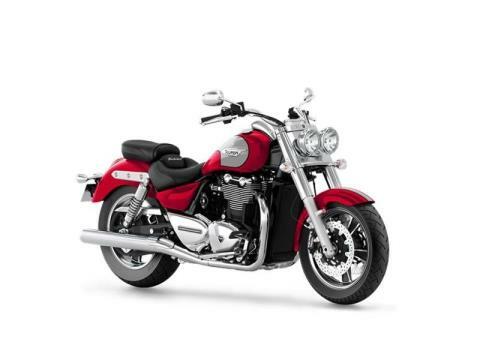 WHEELS AND TIRES: To match the Triumph Thunderbird Commander’s dominant presence on the road, yet retain its agile, user-friendly handling characteristics, a dramatic, fat-section 140/75 17in front tyre is fitted with a 200/50 17in at the rear, running on lightweight diamond-turned cast wheels. 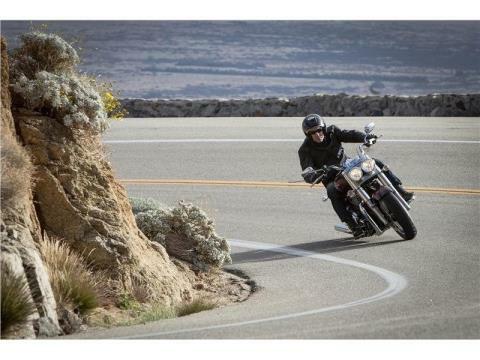 Meanwhile the Thunderbird LT features the world’s first white-walled radial tires, developed exclusively for Triumph by British tyre manufacturer Avon. 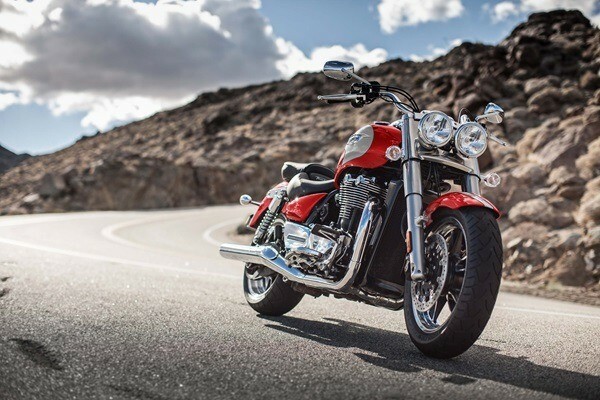 With a fat-section 150/80 16in front and 180/70 16in rear on stunning 56-spoke wire rims, they’re the ultimate in laid-back cruiser cool.